The West Coast “virtual” premiere of a new opera by Vancouver composer John Oliver and librettist Genni Gunn. In a space where musical styles merge, real and virtual universes collide, robotics and intelligent skin mingle…what happens to human carnal relations? Staged in Montreal by Chants Libres, and broadcast by a live video stream to Vancouver, this bilingual opera presentation is truly an encounter mediated by cyberspace. Vancouver audiences can attend this live large screen video broadcast of the closing night performance of Alternate Visions. Two singles develop a relationship over the Internet in a virtual 3D environment; they decide to break the ice of cyberspace and meet in person at a high-tech karaoke bar, which is in fact the set of Alternate Visions, a reality television show. At the last minute, they both get cold feet and ask their respective best friends to take their places. Why take the risk? Why change anything? Misunderstandings multiply ad infinitum, raising questions around the perception of reality and the culture of identity. Cher internet, peux-tu me dire qui je suis? Music: John Oliver, on a libretto by Genni Gunn. Soloists: Rinde Eckert (tenor, Richard), Jacinthe Thibault (mezzo-soprano, Valerie), ÉthelGuéret (soprano, Susan), Patrick Mallette (baritone, TV host). The three Girls: Jean-François Daigneault (countertenor), Ghislaine Deschambault (soprano) and Claudine Ledoux (mezzo soprano). Musicians: The Bradyworks ensemble, directed by Cristian Gort. Production team: Pauline Vaillancourt (stage direction), Jean Décarie (visual design and interactivity), Jean Gervais (lighting), Pascal Dufaux (stage design), Liz Vandal(costumes), Joanna Berzowska (interactive textiles), Jacques-Lee Pelletier(makeup). This opera is co-produced with the DEII, in partnership with the Hexagram Institute for Research and Creation in Interuniversity Media Arts andTechnologies, and in collaboration with Bradyworks, the Usine C and the CIAM. Since its beginnings in 1990, CHANTS LIBRES has always presented operatic repertoire with a modern flavor and has constantly explored new techniques and approaches in the sphere of vocal art. The company works in close collaboration with creators and researchers of all disciplines. 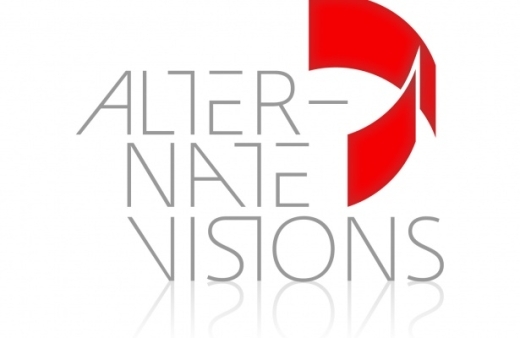 ALTERNATE VISIONS, the company’s 12th operatic production, integrates state-of-the-art technologies.